Reading Nikki and knowing Nikki as a colleague and friend at Virginia Tech has been a treat. Nikki is such an authentic woman, with the power to impact people at their core, in their soul, at the depth of their spirit. She has an incredible talent to connect with humanity, the human quality of life, the universal. She has such wisdom – wisdom gained from years of fighting and calling out injustice. Many forget that she was such a part of the Civil Rights Movement, using her words as weapons in the battle. We often forget the harassment, the death threats, the hatred that many had towards her and yet, she persevered with her words. She never stopped speaking. It would have been so easy to stop, to quit, yet when you have a gift that must be given, there is no choice but to give. And Nikki has given the world a gift. It is not just poetry, but the power of laughter and humor. She helps us to laugh at life and in life. She unselfishlessly and selflessly shares herself. 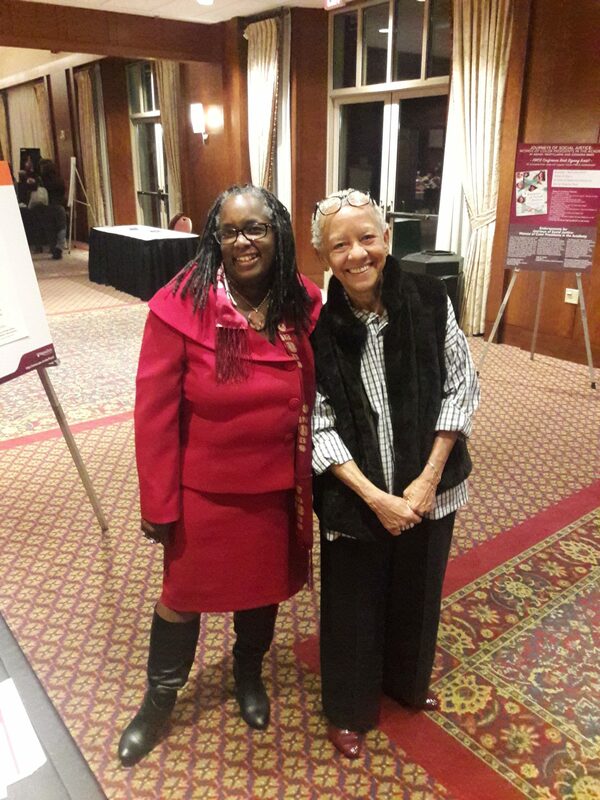 Nikki spoke at the Faculty Women of Color in the Academy Conference at Virginia Tech in 2017. Nikki so empowered our conference and the women. She shared a poem, too, to encourage us. 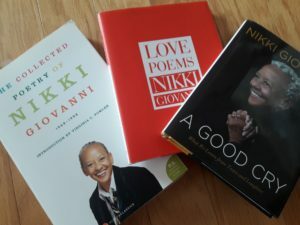 And, so, Nikki, I found some poems in me for you, inspired by you. I know She wants me to.